Who was the least successful foreign policy president? 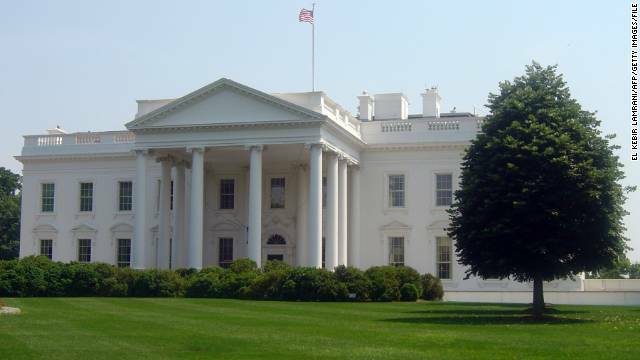 In less than two weeks, President Barack Obama and Republican nominee Mitt Romney will square off in the first of a series of presidential debates that will include foreign policy. But who should they be drawing their inspiration from? And whose examples should they be avoiding? Bruce Jentleson is professor of Public Policy and Political Science at Duke University and the author, among other works, of American Foreign Policy: The Dynamics of Choice in the 21st Century. His take: Because I’m a Democrat, some may seek to discount my negative assessment of George W. Bush as political. But the facts bear it out. Like Pearl Harbor, 9/11 was a real opportunity for forging a shared sense of purpose – this one squandered by telling Americans to go shopping not grow victory gardens and exploited politically by painting broadly with the “soft on terrorism” brush. On top of that, the Iraq War was among the worst strategic blunders in American foreign policy history. Sure, Saddam Hussein was eliminated: as someone who wrote a book about him, I don’t undervalue this. But any full net assessment of what was gained and lost comes out highly negative. Key alliance relations were damaged. Fallout was felt throughout the Middle East. The American economy took a $3 trillion hit. Our troops suffered over 4,440 casualties, many more injuries, and huge tolls on military families. This was a war of choice, not necessity, and the wrong choice was made. David Ryan is professor of history at University College Cork, Ireland and author of Frustrated Empire: U.S. Foreign Policy from 9/11 to Iraq. His take: There is little competition for the slot of worst: it is occupied by president No. 43: George W. Bush. Faced with the tragedy of 9/11, Bush deployed to Afghanistan without sufficient preparation or strategic insight into the country or the enemy (the word should be in the plural). Though many, including the current incumbent in the White House, considered this a necessary war, there is much to question on whether the war begun in October 2001 was the most appropriate way to handle al-Qaeda. The Bush administration initiated a series of conflations that lumped al-Qaeda in with the Taliban and responded to an unconventional threat in an unimaginative and conventional manner. The casualties – regional instability and over ten years of war – have been disproportionate to the objectives. However, for the United States, the context of 9/11 has largely but not exclusively rendered the discourse on Afghanistan to one of tactics and efficacy. Iraq, of course, is the other kettle of fish. The argument has been repeated so many times now, but this was a gratuitous disaster of the president’s choosing. We are now all familiar with the narratives on Iraq from the early days after 9/11, the sweep them all up attitude, the further conflations of the ‘terrorists and the tyrants,” the absence of WMD, and the gratuitous rhetoric on democracy promotion and sanding up the dominoes. The death toll has been incredible and unnecessary; the mid-term outcomes still uncertain. At the end of his prescient book on the Johnson administration, Choosing War, Professor Fredrik Logevall warned that something like Vietnam could happen again. The primacy of the president remained relatively speaking unchecked. Americans debated little prior to the war and turned deaf ears to others who warned against military intervention in 2002-2003, much as Johnson did in 1964-65. These were wars of choice that dislodged the United States. They exacted terrible human tragedy, huge financial costs, undermined the strategic position of the United States by the end of the 1960s and the end of the first decade of the 21st century. No wonder Obama increasingly sounded like Eisenhower in his early years. His deeper understanding of U.S. long term strategy and security suddenly seemed appealing as the narrative turned to one of nation building at home. Still, even Eisenhower faltered with the CIA assisted overthrow of Mossadegh in 1953. The long term unintended consequences that rebounded in 1979 ought to be considered more often as U.S. presidents launch into military interventions. James Lee Ray is director of undergraduate studies at Vanderbilt University. His take: George W. Bush did have an unprecedented challenge to deal with, in the form of the attacks of 9/11. He got off to a good start, launching a quick, small, efficient attack that dislodged the Taliban from power immediately. But then the military let Osama bin Laden get away, and the Bush administration downplayed his importance. Instead, Bush launched the badly planned venture in Iraq. There was little preparation for what came after the “mission” was “accomplished.” Bush also laid the groundwork for disaster in Afghanistan. His foreign policy statements, and unilateralism, sowed distrust and antagonism against the United States throughout much of the world (except Africa). He did improve relations with India, but only at a cost of alienating Pakistan, and weakening the anti-nuclear proliferation regime. His foreign policy ventures were obscenely expensive (a problem he exacerbated with excessive domestic spending.) Perhaps the crash of 2008 wasn’t his fault, but he did not prevent it. He left the country so much worse off than he found it in 2000 that the deterioration is astounding. Andrew Bacevich is a professor of international relations at Boston University and a retired career officer in the U.S. Army. 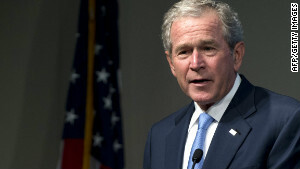 His take: George W. Bush became president when the United States, having outlasted the Soviets in the Cold War, was the self-proclaimed “sole superpower.” Yet through his reckless conduct of the utterly misconceived “global war on terrorism,” Bush squandered advantages that it had required decades to accrue. The result: protracted and unwinnable wars, thousands of Americans killed and many thousands more maimed, hundreds of billions squandered – for essentially zero return. Bush’s legacy: the worst economic downturn since the Great Depression; trillion dollar deficits as far as the eye can see; heightened anti-American sentiment through much of the Islamic world, while emerging rivals are eating our lunch economically. James Lindsay is the senior vice president and director of studies at the Council on Foreign Relations. His take: George W. Bush launched a war of choice in Iraq based on faulty intelligence about weapons of mass destruction that didn’t exist. Much as in Afghanistan, a brilliant initial military campaign in Iraq was not followed by a strategy for winning the peace. Bush squandered the sympathy that the world felt for the United States after 9/11 and diminished America’s soft power. His Freedom Agenda reflected lofty ideals that were not matched with a practical implementation plan or adequate resources. Bush’s heartfelt commitment to combating HIV and AIDS around the world and his creation of the Millennium Challenge Account represent the two bright spots on his foreign policy resume. Scott Lucas is a professor of American and Canadian Studies at the University of Birmingham, England. It was a combination that, before 9-11, was already looking at the possibilities. The day after 9/11, it asked – as National Security Advisor Condoleezza Rice was quoted as saying – “How do we capitalize on these opportunities?” And so one tragedy begat more tragedies. The plan to topple Iraq’s Saddam Hussein as the demonstration of U.S. unipolarity, sold on the basis of 9-11 and WMDs, would achieve the opposite: it illustrated vividly the limits of American power and, indeed, of American values. We – not the American “we” but all of us around the world – are still paying the price of that ill-conceived quest. His take: Sticking with the bipartisan theme, the two least successful foreign policy presidents are Lyndon Johnson and George W. Bush. Both Texans made the same mistake: they plunged the country into unnecessary and divisive wars. LBJ notched a few foreign policy triumphs – most notably the Nuclear Nonproliferation Treaty – though none rivaled his domestic policy achievements. But Vietnam stands as LBJ’s main foreign policy legacy. From overreacting to the Gulf of Tonkin incident in 1964 to the Tet Offensive in 1968, he consistently misread U.S. interests and North Vietnam’s resilience. The result broke his presidency. His take: Lyndon Johnson’s invasion of the Dominican Republic in 1965 was a harbinger. There was no communist threat there. There clearly was a communist threat in South Vietnam. And his suspicion that he might lose the election in 1968 if he “lost” South Vietnam to the Communists may have been well-founded. Furthermore, he got caught in a trap that was not of his own making. The original mistake was not accepting the elections for Vietnam set up by the Geneva Accords in the 1950s. Ho Chi Minh would have won them, perhaps. But then Vietnam might have become a communist state like Yugoslavia, with which the United States could have had even amicable relations. Johnson felt he was adopting a moderate, middle of the road policy, by only giving the military in Vietnam about half of what it asked for. But he stuck to that policy until the generals wanted a million men, and he gave them only 500,000. Even that wasn’t enough. Conservatives will never forgive him for the Great Society (and they never seem to remember that his last federal budget led to a surplus, in 1969.) And Liberals will never forgive him for the war in Vietnam. In short, he was very unlucky. Danielle Pletka is Vice President of Foreign and Defense Policy Studies at the American Enterprise Institute. Her take: For worst, it is always tempting to crown Jimmy Carter, not least because he has become an intense version of his self-loathing, anti-democratic, anti-Israel presidency. But Carter did not change the world and despite his efforts, he didn’t change America either. That privilege falls to Barack Obama. 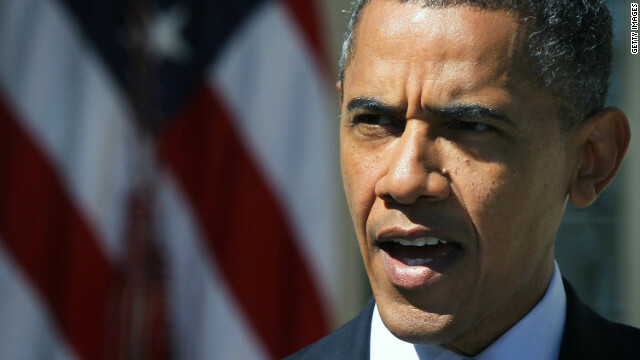 On the face of it, Obama has not seemed the worst of America’s foreign policy presidents. He initially sought to win the war in Afghanistan; he successfully honed anti-terrorism policies and capitalized on his predecessor’s interrogation strategies to find and order Osama bin Laden killed. These are important accomplishments, and notwithstanding his unattractive credit-grabbing, to be lauded. But our foreign policy is inextricable from our economy; those who suggest that America cannot afford greatness are looking to our FY2012 $1.16 trillion dollar deficit; our planned trillion dollar cuts in military spending, our crippling debt to China and to the concurrent rise of important challenges to American power that have gone unchecked. Once again, America is at a crossroads. The urgency of the post-9/11 era has passed and the fight against Islamist extremists has lost its appeal. China is rising and seeks to dominate the Pacific. Europe itself can no longer project power and is consumed by the Euro fiasco. And that Reagan era vision – embraced by every President since – is at risk. Are we exceptional in our commitment to expanding liberty? Rolling back threats to our allies? Sharing our blessings? Or will we turn inward, our clarion call being “nation building here at home”? The road chosen in the coming election will do a great deal to set our nation on its future path. Will we be a nation in decline, afraid of confrontation, indifferent to our allies and our values? Or will we be a nation that invests in greatness – not by making subsidized solar panels or government supported cars, but by recognizing that we alone have the power to move the world? If we stay on the path chosen by Barack Obama, we will be a nation in which more Americans enjoy disability payments than get new jobs, in which the percentage of Americans that work will continue to decline; in which entitlements explode and defense withers. That is the Obama legacy, in foreign policy and at home. Thomas Schwartz is professor of history at Vanderbilt University. His take: Two presidents come to mind for very different reasons. Gerald Ford inherited a tarnished presidency from Richard Nixon, and a newly-empowered Congress frustrated his and Secretary of State Henry Kissinger’s foreign policy initiatives. 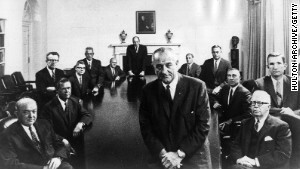 Ford presided over the collapse of Saigon in April 1975 and saw his attempt to intervene in Angola stopped by Congress. Ironically enough, his gaffe during the presidential debate about Poland not being dominated by the Soviet Union may have caused his defeat in the election, even though Poland would indeed soon show considerable defiance of Moscow. Lyndon Johnson was an extraordinarily successful president in domestic affairs, but his singular failure to manage the Vietnam War damaged his overall foreign policy standing. Johnson did have more success in other areas of the world, including Europe and the Middle East, but Vietnam will always haunt his presidency. The least successful president in foreign policy is, in my view, Jimmy Carter, and I reach this conclusion with a certain regret. Carter has important accomplishments to his credit, including the Panama Canal treaty and the Camp David Accords bringing peace between Israel and Egypt. However Carter so badly mismanaged America’s relations with Iran, leading ultimately to the hostage crisis, as well as misunderstanding the Soviet Union, leading to his surprised reaction to the invasion of Afghanistan, that he presented a picture of American impotence to the world, one which paved the way for his overwhelming defeat in 1980 by Ronald Reagan. The president sought to refocus America’s foreign policy on such noble and idealistic goals as the promotion of human rights, but his wavering commitment to allies, and his uncertain response to enemies, ultimately undermined even these important goals. His take: James Polk, on the other hand, sought expansion through force rather than diplomacy. Polk was determined to annex Texas but faced a Congress that under his predecessor President John Tyler had refused to ratify a treaty of annexation. So he “stampeded Congress,” as Arthur Schlesinger, Jr. wrote, into a declaration of war by provoking a military confrontation with Mexico. Such machinations prompted concern about the precedent being set from a young congressman from Illinois. “Allow the President to invade a neighboring nation, whenever he shall deem it necessary,” wrote Representative Abraham Lincoln, “and you allow him to make war at [his] pleasure. Study to see if you can fix any limit to his power in this respect.” While not the only president to abuse the war power, Polk was one of the first and more blatant.